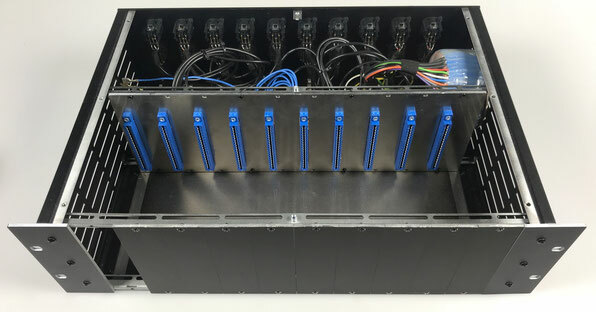 The parts shown below will convert the standard NRG CASE 3U into an api rack. 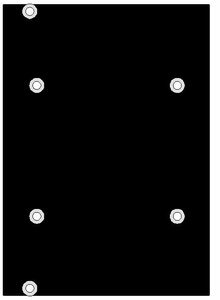 Sidepanels for the NRG Case to mount the enclosure into a 19" rack. 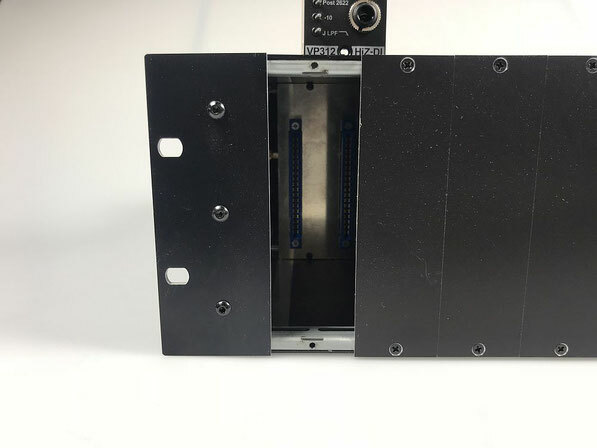 You could make an external PSU (and replace the IEC connector with a 5 pin XLR) or you can build an internal PSU. 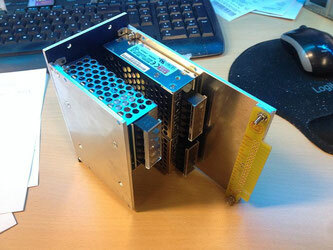 I can make 3 panels so that you can use meanwell PSU's for +16V / -16V (API500) and +24 / -24 (51X). If you need 48V phantom you could add an 48V regulator to one of the psu's. Phantompower doesn't need much current, maybe 500mA. You could buy one of the cheap (below 10€) DC-DC stepup converters (3-34V to 4-60V) with LM2577 chip and voltage adjustment. Volker Mayer sells 51X pcbs, as shown on the pictures (yellow pcb). You can see the yellow pcb on the pictures below, the adapter is to bring the pcb connector to the right position. 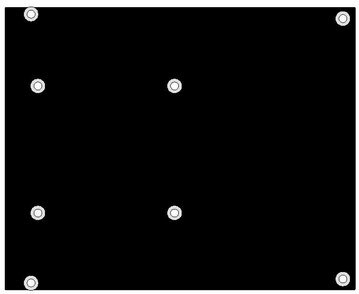 Here you can download a layout which interconnects the 4 PSU. You can do this yourselfs simply by using wires. With this pcb 90° solder pins will connect the pcb with the PSUs. 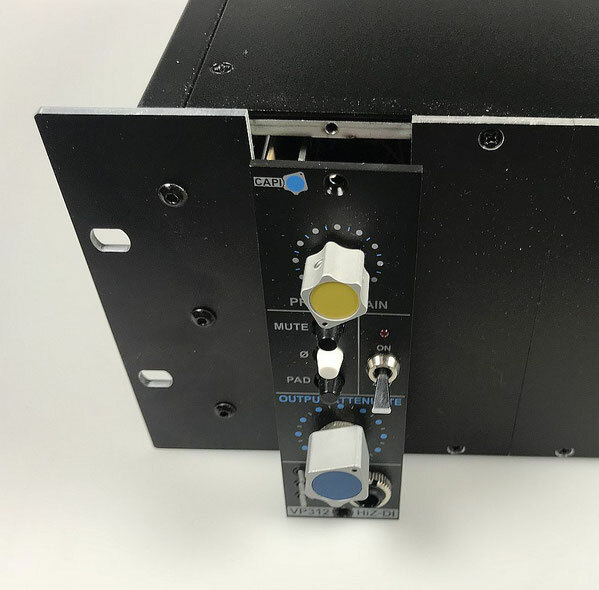 Make your own API500 or 51X RACK! 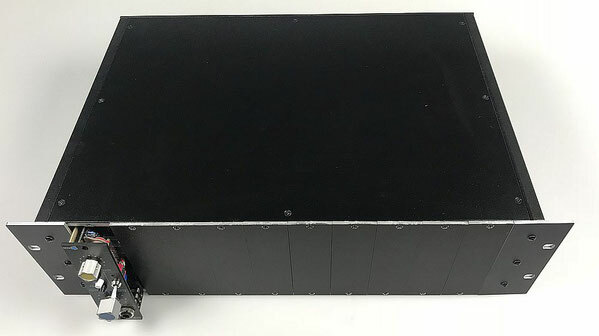 This is an API 500/51X Rack which I'd built out of the NRG CASE. 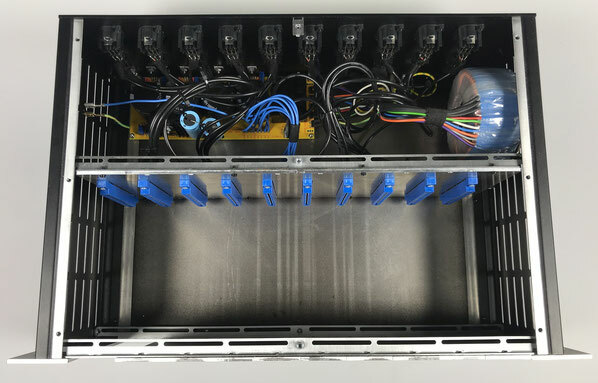 2 Mounting rails are needed to fix the inner panel which holds the edge card connectors. I used the same PSU which is used for the CAPI Racks. You can also just buy "meanwell" switching PSUs to make your own PSU. That's easy to do. You just need two PSUs for a positive and negative rail. You'll see that only 15V supplies are available but you need 16V for API... no problem! There is a small trimpot on every PSU which let's you easily change the voltage to 16V. To get + and - rails just connect the + terminal of the second meanwell PSU to the GND of the first (positive) PSU and you'll have a +/-16V PSU. Same for the 24V. 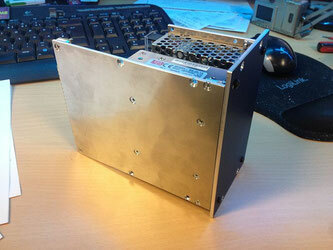 And for the 48V... there are meanwell PSU's available with this voltage.